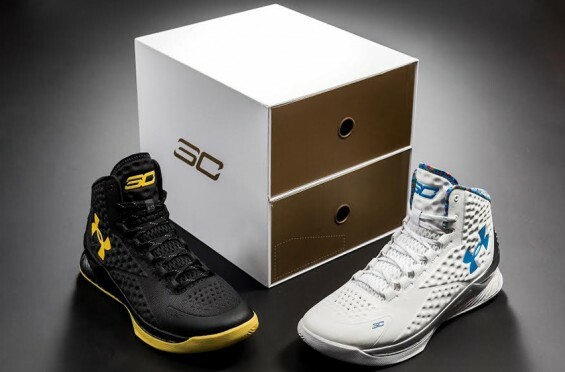 Celebrate Steph Curry’s winning season with the Under Armour Curry One ‘Championship Pack’. The white pair is dubbed the ‘Splash Party’ colorway and was given to Steph for his birthday. The shoe features multiple colored spots on the collar area to mimic birthday cake sprinkles, while the silver/chrome heel cup further adds to the eye-catching appeal of the sneakers. 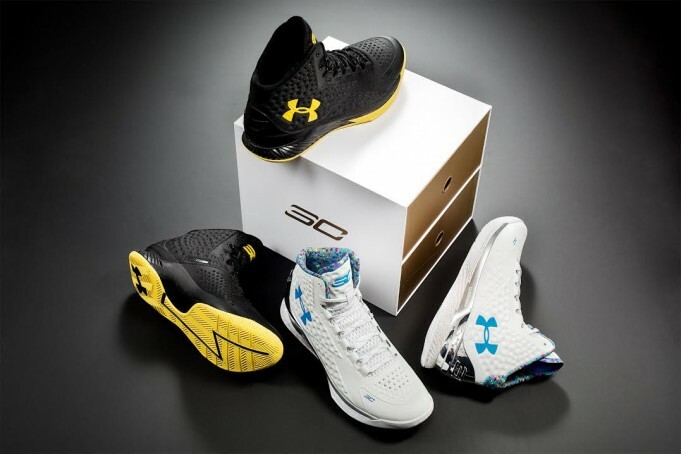 The other Curry One is dubbed the ‘Moment’ colorway and features a simple black and yellow color combination. Curry wore the ‘Splash Party’ colorway during game 5 and the ‘Moment’ colorway for the title-clinching game 6 of the 2015 NBA Finals, hence both shoes being a part of a championship pack. Really wanted these until UA took the chrome off the splash party’s.